The Food Service Department is proud of the role it plays in providing students with a nutritious meal each school day. Our goal is to provide students with a well balanced meal, which is appealing to students’ tastes, and meets the guidelines of the National School Lunch Program. The USDA meal patterns require five components must be offered to qualify for a reimbursable meal. A Meat/Protein, Fruit, Vegetable, Bread, and Milk must be offered in specific quantities. These meal patterns are designed to provide 1/3 of the recommended dietary allowances for key nutrients. The menu must also provide no more than 30% of the total calories from fat, and no more than 10% from saturated fat over the course of a week. If your child has been determined by a doctor to have a food allergy that would prevent the child from eating a regular school meal, the school will make substitutions prescribed by the doctor. An effort will also be made to accommodate medically necessary dietary modifications for non-handicapped children. If you believe your child needs a modified diet, please contact the Food and Nutrition Supervisor. The phone number is 715-839-6056. 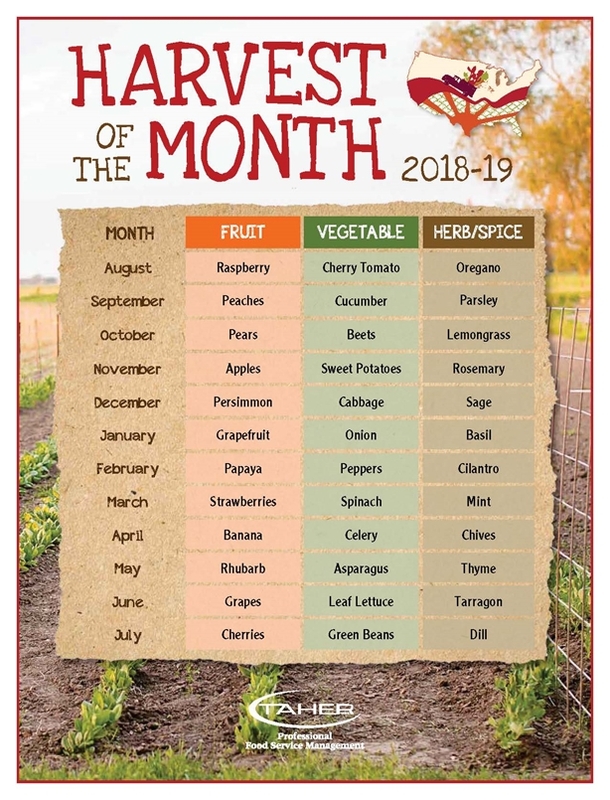 Our “Harvest of the Month” program promotes different fruits, vegetables, herbs and legumes throughout the school year. We provide fun facts and nutrition information and will serve it at least one day during that month. 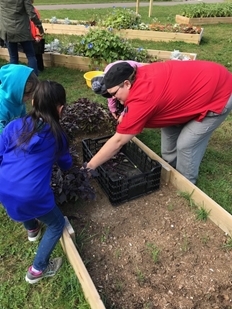 We are always looking for local producers to partner with us in bringing farm fresh produce and other items into the school when available. It is important for kids to understand where food comes from and the benefits of less processed fresh foods in their diets. 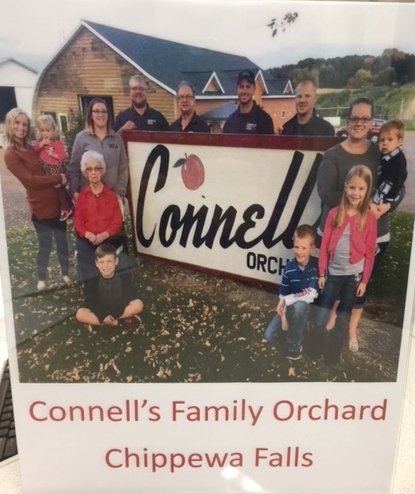 This year we have enjoyed serving fresh apples from Connell’s Family Orchard. At each school we offer a self serve fruit and vegetable bar. By providing four vegetables, a fresh fruit and a canned fruit, the students can pick their favorite items, instead of passing up one choice offered on a menu because they don’t care for it. We will introduce the students to a greater variety of fresh fruit including Passion Fruit, Blood Orange, and Papaya, just to name a few. We use whole grain white bread and whole wheat rolls, and will offer whole wheat pizza crusts to insure students get the grains they need. Desserts are considered a treat with lunch, and have been limited to once per week on the menu. A la Carte items are snacks that students may purchase that are not part of a meal. They are offered to Middle and High School students only, and are intended to compliment a meal rather than replace it. For that reason, we follow the USDA price guidelines so that a meal is always a better value than purchasing items separately. All A la Carte items we sell are approved by USDA guidelines, although we have limited high fat A la Carte items, and introduced more baked and lo-fat snack items in their place during the past several years. We have included a Nutritional Analysis of your favorite menu items. Students and parents can use this data to help make the best choices for a well balanced diet. Every day our body requires a certain amount of energy from carbohydrates, protein and fats to function properly. Because no single food provides all of the nutrients our body needs, eating a variety of foods ensures that we get all of the necessary nutrients and other substances associated with good health. Good nutrition and physical activity are two essential parts necessary for the long-term health of our customers. The link between nutrition and learning is well documented. Healthy eating patterns are essential for students to achieve their full academic potential, full physical and mental growth, and lifelong health and well-being. Healthy eating is demonstrably linked to reduced risk for mortality and development of many chronic diseases as adults. We believe schools have a responsibility to help students and staff establish and maintain lifelong, healthy eating patterns. For this reason, Taher Inc. has embarked on a new Initiative called Food 4 Life. We are committed to the health, wellness and responsible eating habits of our customers in each of the 4 stages of life in which we serve them. As Students in K-12 Schools, Young Adults in Colleges, Adults in the Businesses we serve, and for the Senior Citizens in the Elderly Feeding Programs we provide meals to. Our mission and commitment is to provide high quality, fresh wholesome foods and nutritionally-balanced and appealing menu selections to every customer. To this end, we will strive to offer food products which are minimally processed. We believe this allows our customers to increase the consumption of natural fibers and other natural ingredients while decreasing caloric intake, saturated fat, trans fat, added sugars and artificial ingredients. To help students understand individual responsibility and make informed decisions, one of our specific goals is teaching proper eating habits which reinforces the belief of moderated consumption in all food groups. We constantly seek new recipes and products which mirror our commitment for culinary excellence by combining nutrition and taste. All of our products meet strict nutrition guidelines which include the use of only non-hydrogenated oils in our fryers, minimizing the intake of trans fats by our customers and the reduction of products containing high fructose corn syrup as a primary ingredient. We incorporate fresh, regionally-grown fruit or produce, organic and natural products, and unprocessed and preservative-free foods whenever feasible. Our menus are analyzed for nutrient balance and each of our recipes meets our stringent standards promoting the well-being of our customers. We encourage the consumption of fresh fruit, vegetables and whole grains – such as wild rice, barley, quinoa, couscous and brown rice, in their natural forms. At each elementary building, we have a colorful Nutra Kid poster, with nutrition tips aimed at younger students, to help build good eating habits. We are promoting Nutrition Month with a nutrition display board as we did last year. Students can see a comparison of sugar and fat contained in the popular foods they eat, to help them understand the impact good choices makes on their health. We understand the changing environment and the concern of rising childhood obesity. We will continue to evaluate the lunch program as new information is received, and make changes as necessary to comply with USDA guidelines and any local policies. I would also be glad to speak to anyone who needs more information or has concerns about Nutrition and our school lunch program. In the Child Nutrition and WIC Reauthorization Act of 2004, the U.S. Congress established a new requirement for all local agencies with a federally funded National School Lunch Program. All local school districts were required to develop and implement wellness policies by the start of the 2006-07 school year. In response to this requirement, our school districts formed committees made up of parents, administration, faculty, and students to develop their wellness policies.